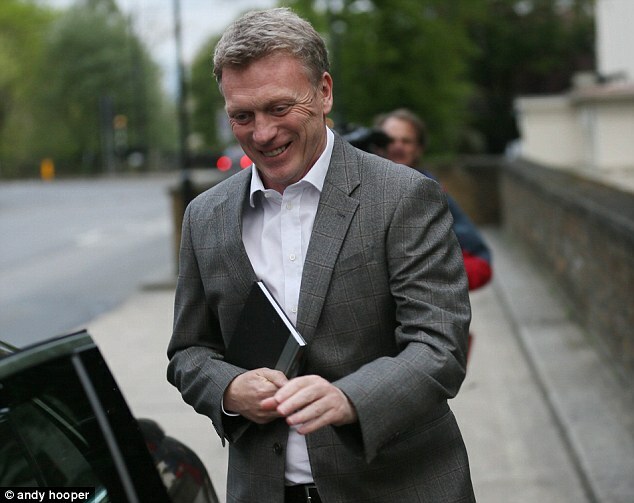 Moyes, who couldn't hide his joy, said: 'It’s a great honour to be asked to be the next manager of Manchester United. 'I am delighted that Sir Alex saw fit to recommend me for the job. I have great respect for everything he has done and for the Football Club. 'I know how hard it will be to follow the best manager ever, but the opportunity to manage Manchester United isn’t something that comes around very often and I’m really looking forward to taking up the post next season. 'I have had a terrific job at Everton, with a tremendous chairman and board of directors and a great set of players. Between now and the end of the season, I will do everything in my power to make sure we finish as high as possible in the table. 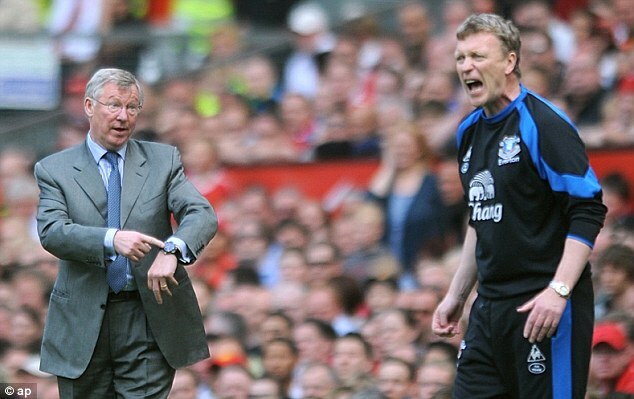 Outgoing Manchester United manager, Sir Alex Ferguson, who is a great admirer of his countryman, admitted that he approached Moyes as far back as 1998 to see whether he would take an assistant role at the club. Announcing his successor, the 71-year-old said: 'When we discussed the candidates that we felt had the right attributes we unanimously agreed on David Moyes. David is a man of great integrity with a strong work ethic. 'I've admired his work for a long time and approached him as far back as 1998 to discuss the position of assistant manager here. 'He was a young man then at the start of his career and has since gone on to do a magnificent job at Everton. United legend Sir Bobby Charlton, who had a hand in the selection process, expressed his delight that Moyes will take up the mantle at the beginning of next season. 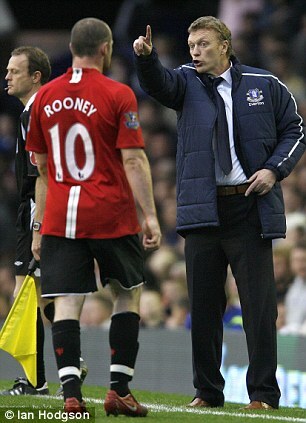 He added: 'I have always said that we wanted the next manager to be a genuine Manchester United man. 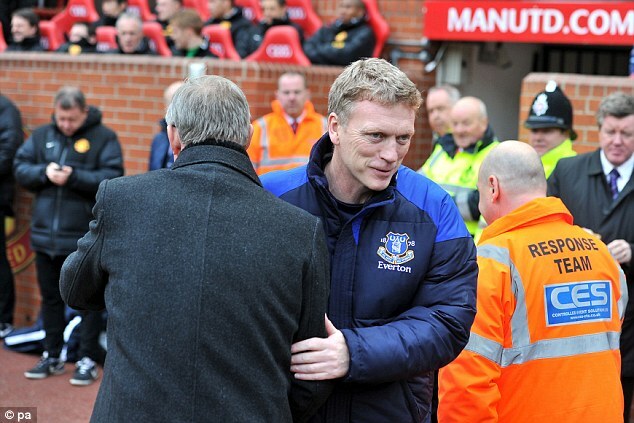 In David Moyes, we have someone who understands the things that make this such a special club. 'We have secured a man who is committed to the long-term and will build teams for the future as well as now. Stability breeds success. 'David has tremendous strength of character and recognises the importance of bringing young players through and developing them alongside world class talent. Moyes leaves Everton after 11 years and will be at the helm when United begin the defence of the Barclays Premier League crown they won under Ferguson this year. Everton announced that he was leaving the club on their website on Thursday afternoon and effectively said he was the new United manager. His arrival at Old Trafford was confirmed later. Moyes will find a number of pressing issues in his in-tray when he arrives, striker Wayne Rooney has asked for a transfer for a second time and there is the possibility that Cristiano Ronaldo could make a stunning return to Manchester.